GROHE Concetto kitchen tap – high spout and adjustable swivel range for total kitchen convenience! 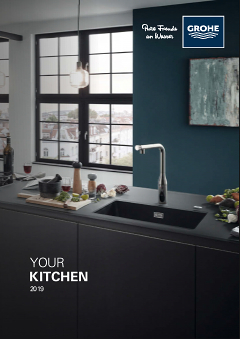 GROHE Concetto delivers cool minimalist kitchen style and maximum convenience! Its high spout is ideal for cleaning big pots and it has an adjustable swivel range that can be set to 0°, 150° or 360° – so it is perfect for a wide range of kitchen designs, including those with two basins. Crafted with GROHE SilkMove’s ceramic cartridges, the control of water flow and temperature is smooth and precise, and thanks to our easy installation system it can be fitted in no time. Finished with our gleaming GROHE StarLight chrome, it is easy to clean and will retain its pristine look even after years of use. Our easy installation system ensures a quick and hassle-free mounting of the tap. A kitchen update that makes an instant difference!